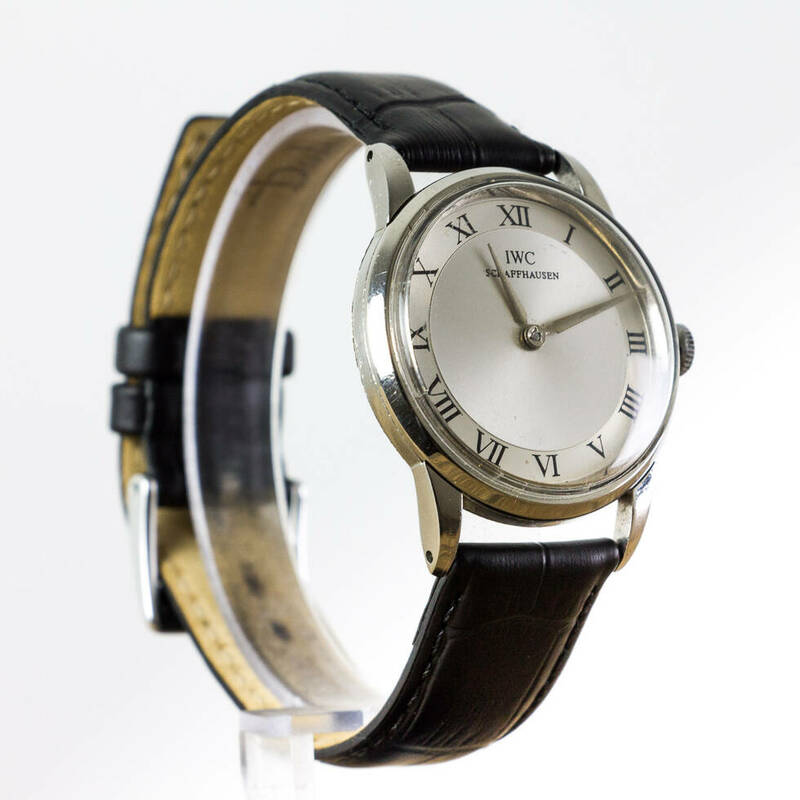 Stylish vintage mechanical IWC (International watch company) wristwatch with box. Powered by a mechanical (hand winding) movement, the Silver coloured dial features black Roman numerals and maintains accurate timekeeping. 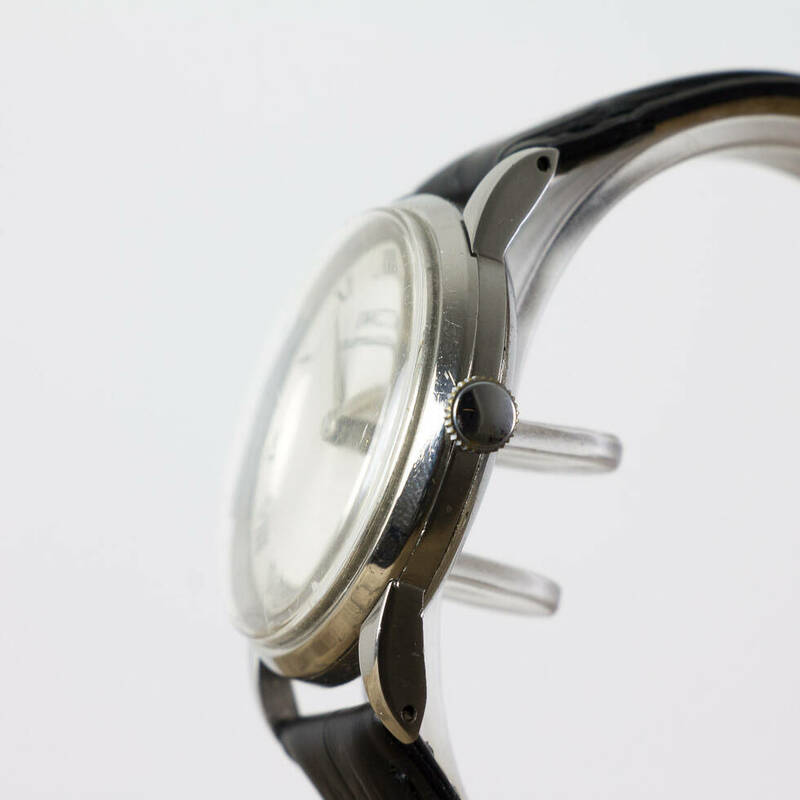 Dial is repainted. Calibre 89 missing seconds hand. 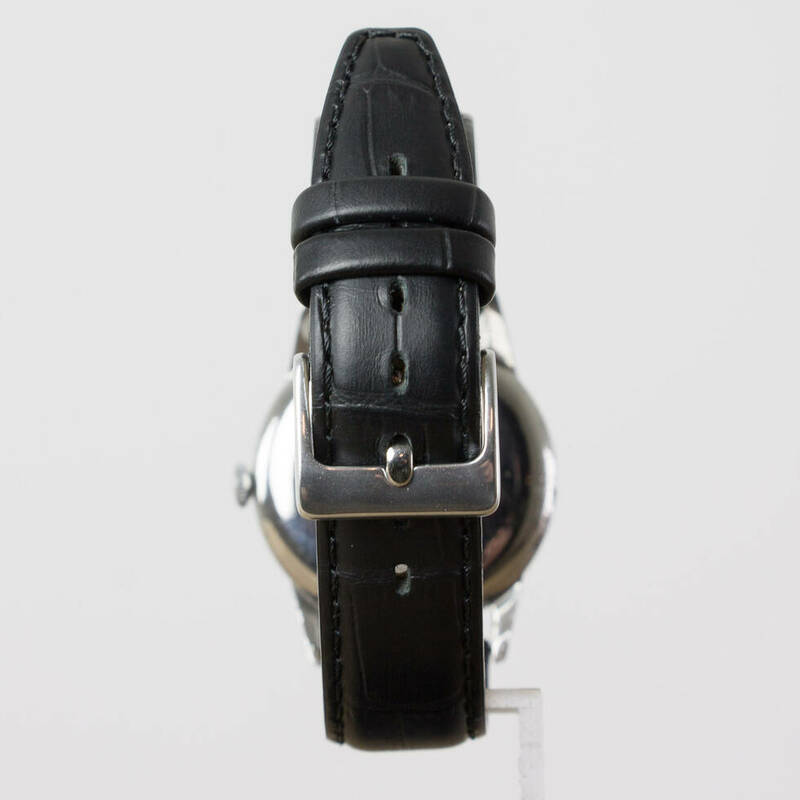 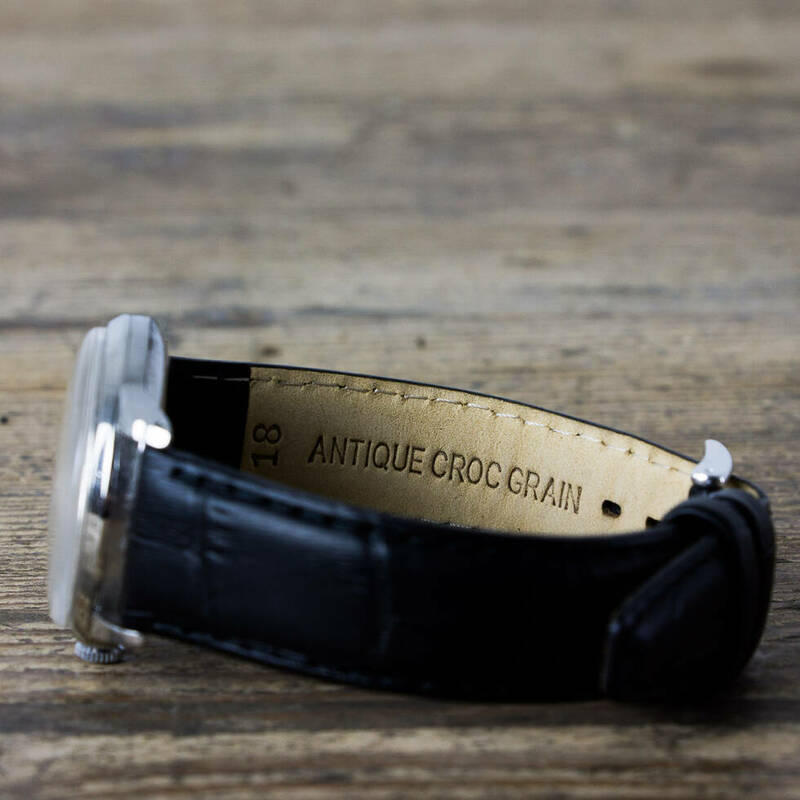 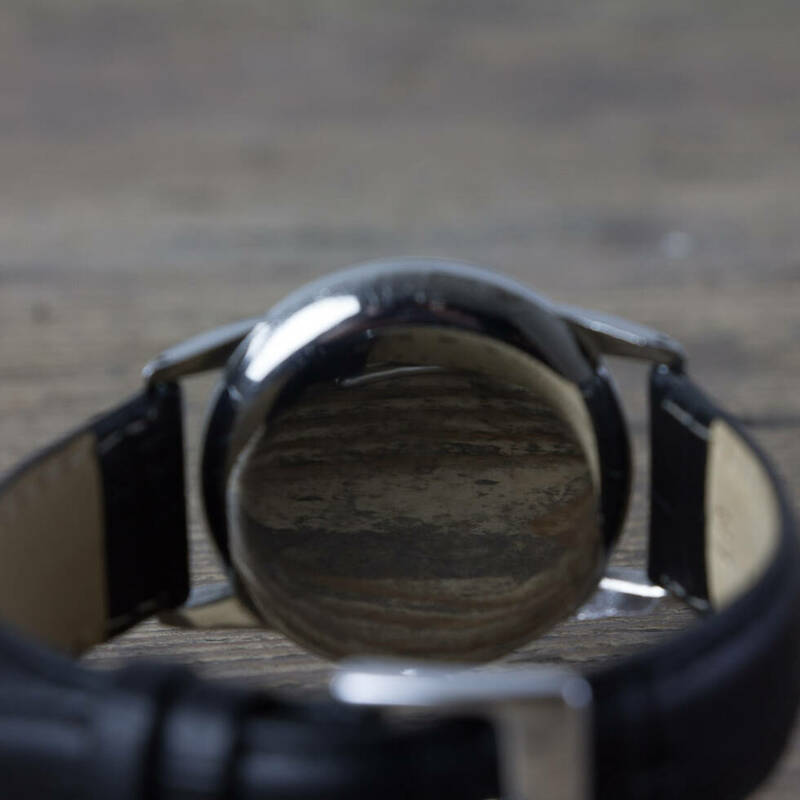 The Stainless Steel 33.5 mm case uses a generic crown and is attached to an 18 mm black antique croc grain strap and Steel buckle. 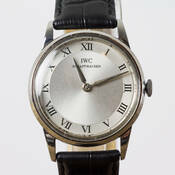 The rear case is plain and is dated 1948. A superb vintage watch from an iconic company.